When it comes to car insurance, military members are turning to us. 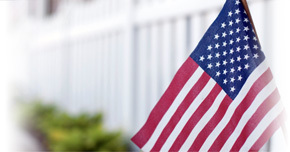 Direct Auto & Life Insurance proudly serves our military with insurance designed for service members. With budget-friendly rates and easily-customized payment options,* Direct Auto is a great choice for Army, Navy, Guard, Marine, or Air Force members who want superior service and the right coverage. Let's find out more about how Direct Auto is helping military members find the right car insurance in Deerfield Beach. Direct Auto is fully aware that service members stationed in Deerfield Beach have many choices when it comes to car insurance. But at Direct Auto, we know how to setup coverage plans to your specifications and can better explain the insurance fundamentals like state minimums and medical payments auto coverage. That's why we have tools like the Coverage Assistant. By turning to the Coverage Assistant, you can gain a better sense of what insurance fits your needs and your budget, without blowing the bank on coverage. Direct Auto also helps customers every step of the way, from quote to purchase, going above and beyond to offer full details on what your plan covers. From Collision Coverage to Towing Coverage, to Towing Coverage, Direct Auto's military car insurance customers should be knowledgeable about how their plan is helping them. At Direct Auto, we also understand that many of our customers are on-the-go, which is why we developed DirectDrive, an app for your smartphone!† The DirectDrive app allows customers to log trips and monitor braking, acceleration, and speed, which could help them drive safer & earn them in-app bonuses. DirectDrive even lets customers pay their auto insurance bill on their phone. By making just a few clicks, you can stay current on your Direct Auto bill, get real-time feedback on driving habits, and compete with other DirectDrive app users without ever having to slow down your busy life. iPhone or Android users can download the DirectDrive app for free through the app store. Want to learn more about how Direct Auto is helping military customers save on car insurance in Deerfield Beach? Give us a at 1-877- GO DIRECT or apply online to get started with your new auto insurance coverage today.